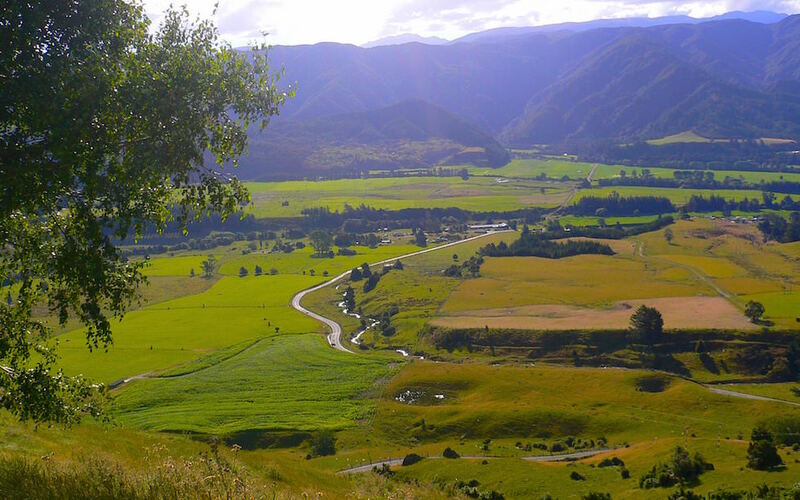 The wild northwestern coast of the South Island is the perfect place for a day adventure. 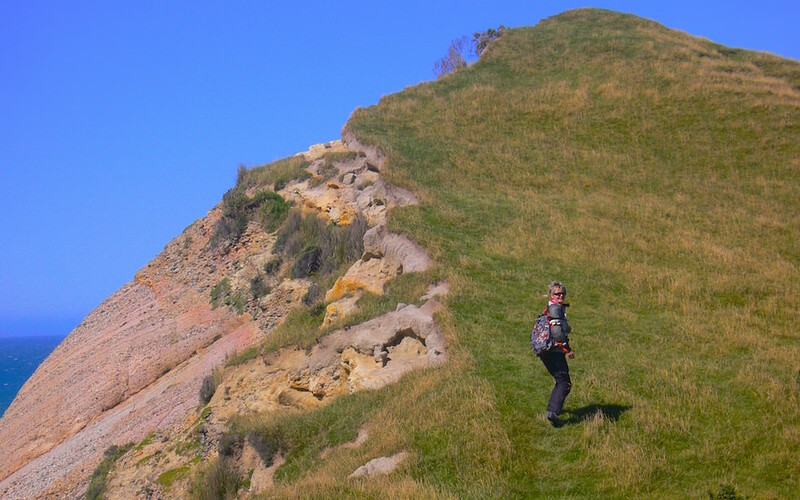 You can start with the massive cliffs at Cape Farewell and the nearby Wharariki Beach. Going further north form Cape Farwell you’ll find the Farewell Spit, with it’s distinctive Kiwi shape curving round Golden Bay. Cape Farewell is a headland in New Zealand, the most northerly point on the South Island. 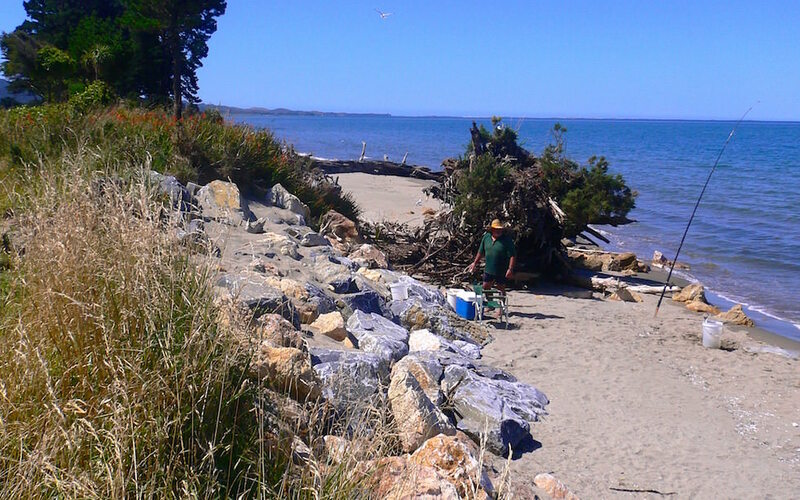 It is located just west of Farewell Spit. This area was discovered by Abel Tasman first. Some years later Captain James Cook passed this headland in 1770. As it was the last land seen by him and his crew as they departed on the ship’s homeward voyage, he gave this beautiful cape its name – Cape Farewell. 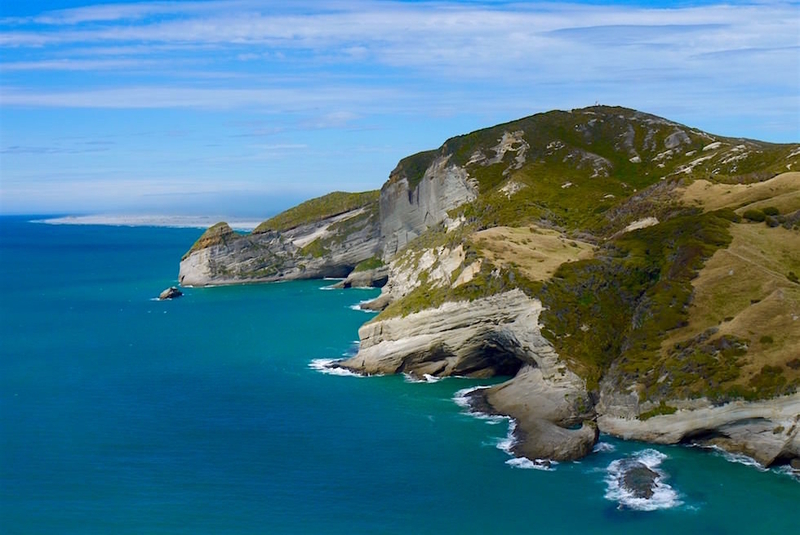 Cape Farewell is one of the less visited of New Zealand’s major capes due to its remote location. You can do the „Cliff Top Walk“ which is 2-3 hours one-way along the heights of the coast East of the cape and joins the area with the beginning of Farewell Spit. 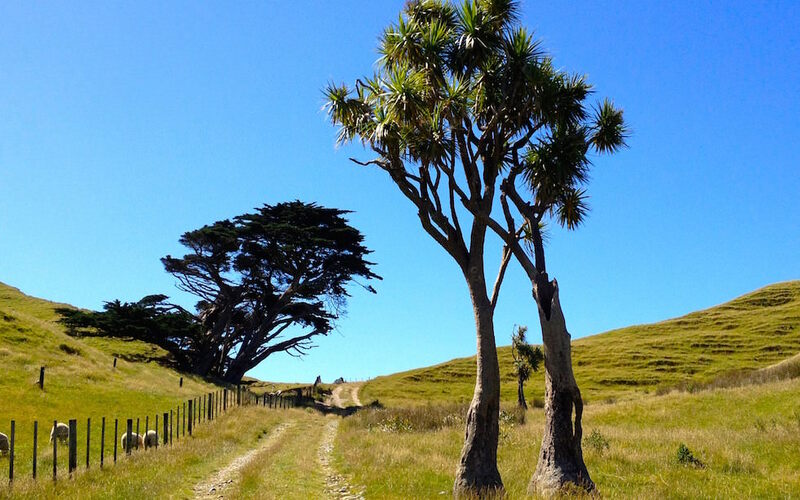 There are stunning views all along the walk of the Tasman Sea to one side, of the sanddunes in the northeast. As well as of the towering cliffs and rocky, primal landscapes to the shoreward (east) side. 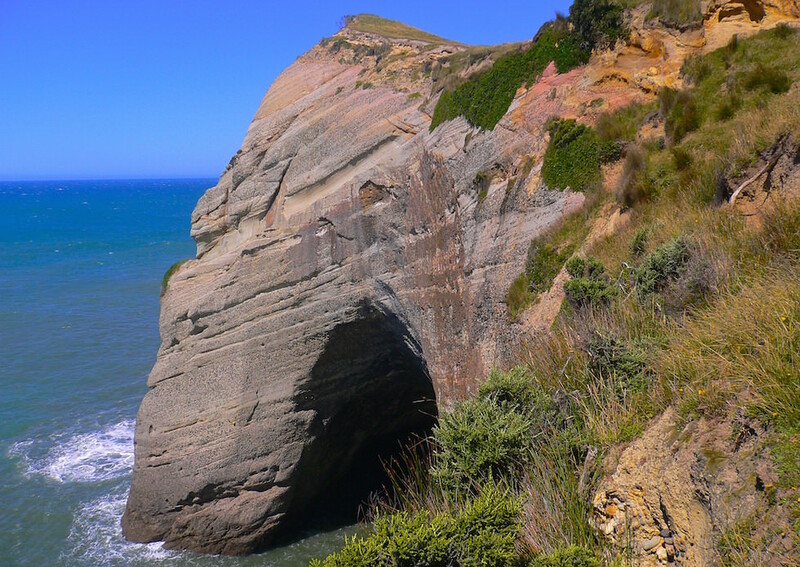 You can reach Cape Farewell from Motueka, Tasman Bay within approximately 2 hours. The distance is only 110 km but you have to climb a pass and drive some windy roads. Halfway there is Tekaka right at Golden Bay. A pretty nice and lovely small town. ← Nugget Point – Viele Inselchen, Leuchtturm, Pinguine, Seebären & zerklüftete Klippen! 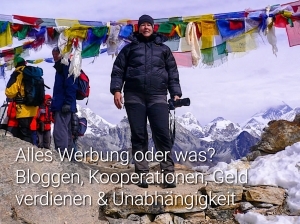 Wurzacher Ried: Moore,Torf & Seen – Das größte intakte Hochmoor Mitteleuropas! Bay of Fires – Grandioses Farbenparadies & schönste Küste Tasmaniens! 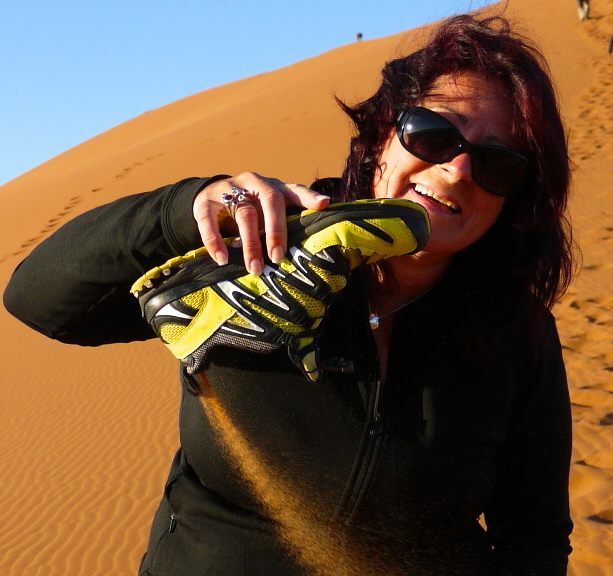 Abenteuer Margaret River – Kanutour, Höhlen & sensationelles Bush Tucker! Purakaunui Falls, Matai Falls & McLean Falls – Die faszinierendsten Wasserfälle der Catlins!